Call now for more information or schedule your appointment online right now! It doesn’t matter what kind of attic you have, we’ll make sure it’s perfectly cleaned, insulated, and rodent free! Read more here! Let our team do the hard work for you! From dryer and air ducts to kitchen exhaust hoods, we have the perfect solution to every problem! Professional air duct cleaning services can help you maintain a cleaner and healthier home or business. Click here and find out how and why you can't do without it. What should you expect when you call for commercial air duct cleaning services and why are they so important for any commercial building? Here's everything you need to know and more. Dryer vent cleaning will restore your dryer's efficiency and will ensure it lasts for years to come. This next article will tell you everything you need to know. 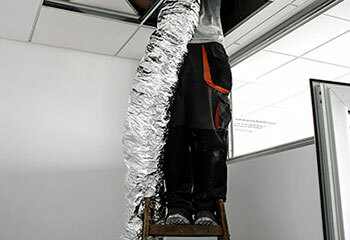 Duct repair and replacement services are best delivered by trained and experienced professionals so they can precisely identify the problem and provide you with the best solution. Click here to learn more. What is kitchen exhaust hood cleaning, why is it necessary and how often should it be performed? Here's what you need to about this professional service. Does professional and timely HVAC systems cleaning improve their operation and associated air quality? Why don't you read the following to discover and learn more? What should you expect when you call for indoor air quality services? Here's everything you need to know to keep your home safer for both you and your family. What to expect when you're calling for residential air duct cleaning services and how to maintain high air quality? Enter our website to read all about it. Be it on your sofa, rug, or carpet - there's no stain our team can't handle! Read more on what we offer here below! How carpet cleaning is performed and why is it important for both homes and businesses? Click here to learn more and to discover our professional solutions. Here's how to spot mold in its early stages. Identified mold? Call for mold remediation and removal services – it can restore the air quality in your property. Read the following to learn more. Pet hair removal services are best delivered by professionals to ensure your house is clean and safe. Read the following to learn more about this service and its importance. Tile and grout cleaning will allow your floor to shine again. This following article has everything you need to know about the best floor cleaning service in town! You don’t have to spend a small fortune in order to save that beloved piece of furniture. Upholstery cleaning might save the day! Read all about it here. This is one battle we never take too lightly! We have the equipment, experience and knowledge to handle water and fire damage. Read more on our services here. Making sure your property is perfectly clean is beneficial for very obvious reasons. However, while many homeowners tend to dedicate a lot of attention to their kitchens and living rooms, some of the most important parts of the property can sometimes get neglected. Your attic and air ducts are two of the most important areas of your house, and they need regular cleaning. Not just for sanitary reasons, but to mitigate health concerns as well. After all, rodents tend to love scurrying around and nesting in these areas, and the health risks they pose are no joke. Cleaning these areas regularly and maintaining their physical condition is also an excellent way to reduce your energy spending. Property owners who live anywhere close to Cypress or farther out near Crosby can rely on our team here at Ducts & Attic Cleaning Experts to provide the high quality services they deserve. As one of the leading service companies in Texas, our specialists always put their nose to the grindstone to ensure they achieve the best possible results every single time. 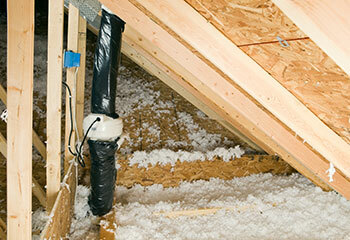 The best way to prevent heat loss and lower your energy expenses is to properly air seal and insulate your attic. You'd be amazed how an improperly insulated space can cause your energy bill to skyrocket. There are many different options to accomplish this type of project. One of the best ones is to use spray foam insulation to really reach all the crevices and cracks and make sure they're completely sealed. 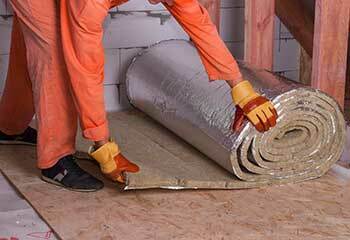 Of course, insulation isn't just good to preserve heat. It's also a great way to maintain a cool and comfortable indoor environment. You don't have to live in Houston to know how hot it can get during the summer. You can be nearby Huffman or closer to Spring and you'll still feel the temperatures climbing and climbing. Making sure your home is perfectly equipped to handle the season is something our team takes great pride in. Speaking of heat, the summer month can prove to be a great instigator for house fires and you'll defiantly want to do everything you can to mitigate those risks and eliminate as many of them as possible. 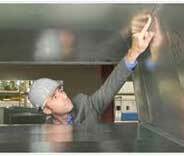 One of the main services our company provides is professional dryer vent cleaning. A lot of lint can accumulate inside this duct over time, and lint being an excellent kindling, there's a real fire-starting threat with a dryer vent that's all clogged up. Leave it to our experts to thoroughly remove all residues of this material. You'll be able to sleep a little easier, knowing that at least you got that high risk mitigated. You may be asking yourself, do these guys clean anything else? Well, the answer is – definitely! Our team also specializes in getting rid of the nastiest stains to carpets and upholstery, as well as removing mold and other hazardous fungi. Our experts can also help you with water extraction after a flooding, as well as with any damage restoration efforts. There's virtually no part of your property that our experts won't be able to clean to perfection, including your air ducts and HVAC unit. 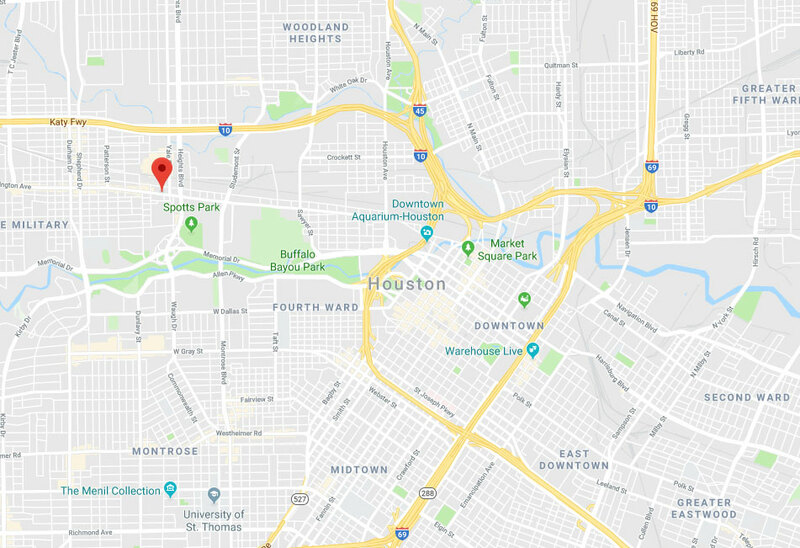 If you reside anywhere from Tomball to Highland, or closer to Deer Park and you want to keep your indoor air quality clean and fresh all year long, there's no one better to call than uct & Attic Cleaning Experts! Our technicians are prompt, experienced and focused on delivering outstanding results. When you hire us, you can rest assured that each and every task is performed according to the highest safety standards and operational excellence in mind. 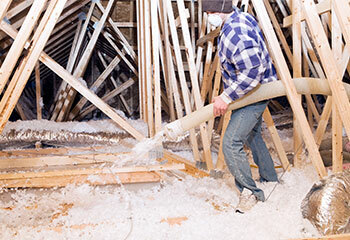 We want to remain the leading attic and duct cleaning professionals in Houston. That’s why we continually strive to improve our service by implementing innovative techniques and tools to meet and surpass your needs and expectations. Let our experts help with any issue regarding your ducts or attic! Contact us today! Scroll down to read all about our latest air duct and attic projects, from cleaning to repairs! Lint isn’t always harmless – and when it isn’t – we’re here to help! Ms. Murphy called us to clean the air ducts after noticing bad odor. Read all the details here. Customer wanted to ensure no rodents invade his house through the attic. 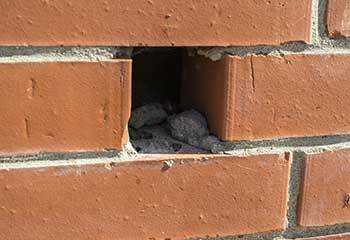 Here’s how we rodent-proofed the area. 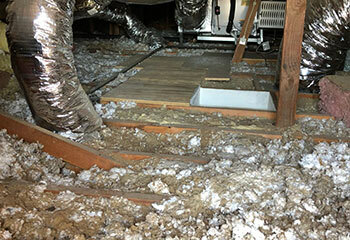 The customer needed his attic insulation removed due to its poor performance and an aftermath of rodent infestation. Here’s how we helped. This customer called us because his house smelled musty. We were able to help. This customer wanted better insulation in his attic as he wished to reduce his monthly utility costs. Here’s how we helped. 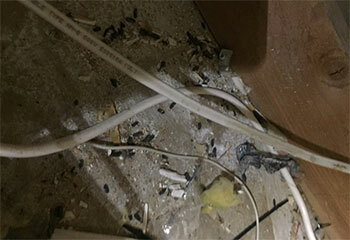 This customer called us because employees in his building complained about dust in their indoor air. Read how we helped here. 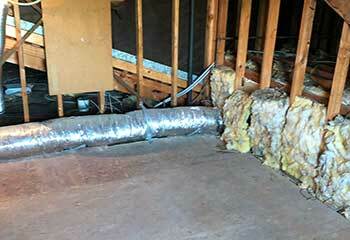 The client reported drafts and unwanted air flow in his attic. Here’s how we solved the problem. Conditions in Mrs. Owen’s home became uncomfortably warm during the hot days. This is what we’ve done for her. A million thanks for your quick and excellent work last week. My attic looks and feels so clean! I’m already thinking of ways to turn it into a play area for the kids. 10/10! It’s been a pleasure having your team in my home. They have conducted themselves with such professionalism and kindness. My attic is free of contaminants and it didn’t even cost me that much! Just wanted to say a massive thank you to your technicians who responded quickly when my dryer vent needed a clean-up. You guys did an awesome job! LET US DO THE CLEANING FOR YOU! When it comes to your air ducts and attic, count on our team! Schedule online now!